At this time, shooting a video outdoors requires you to carry your trusty laptop with you all the time or you may have to shoot the video and then return to your laptop to edit and upload it. Since my love for travel is equal to my love for shooting videos and posting them on different social media websites like Instagram, Facebook, et al, I have been looking for a device that allows me to organize and edit all my videos and photos while I am on the field but mainly to backup my footage without switching cards all the time. Whether it is in a jeep while I am on my way back from a remote place, or a helicopter while I was trying to get videos of a costline in Costa Rica, editing videos when my creativity is at its peak makes it much more sensible. And all that is what led me to the Gnarbox. The Gnarbox (shop it here) provides a solution to all these genuine problems of a video editor. But the key here is its size. The video editing universe already has a lot of apps and software which can make most of the things stated above possible, but what they didn’t have was a device that can make all of it portable and interacts so smoothly and without any problems. Something that can easily fit into your pocket and offer you the ability to shoot your video and edit it without having to wait to get back to your laptop. With a storage capacity of 128 GB, you will be able to capture adequate videos while you are outdoors before you actually reach your laptop and archive them to your hard drives or memory cards. It allows four phones to connect to the device so that the phones can access the media from the device to edit or share it. It also comes with an IP67 certification which makes the Gnarbox waterproof to 10m, dust- and shock resistant. On top of that, it has a battery life between 6-8 hours with one charge, that is 90 minutes per USB3 cable. A quad-core processor along with 4GB RAM and an octa-core GPU make it possible for users to make the most of the device. It allows for quick editing in 720p, 1080p and even 4K on your phone. The device is rugged enough to travel to extreme temperatures with you without signs of failure. And if you feel 128 GB is not enough for you then the Gnarbox allows you to flip open the front panel where you can connect a hard drive and increase its storage. Smooth! The developers already released a 256 GB solution (shop it here) as well and next to USB3, it also has inputs for nearly any device such as DSLR Camera, GOPro, SD Cards, Micro SD Cards and Flash Drives. But video editing requires a robust app, and how is Gnarbox dealing with that? Let’s find out. You will have the ability to swipe left and right on a paused video so that you can easily move from one frame to another in order to clip at the frame that you want. 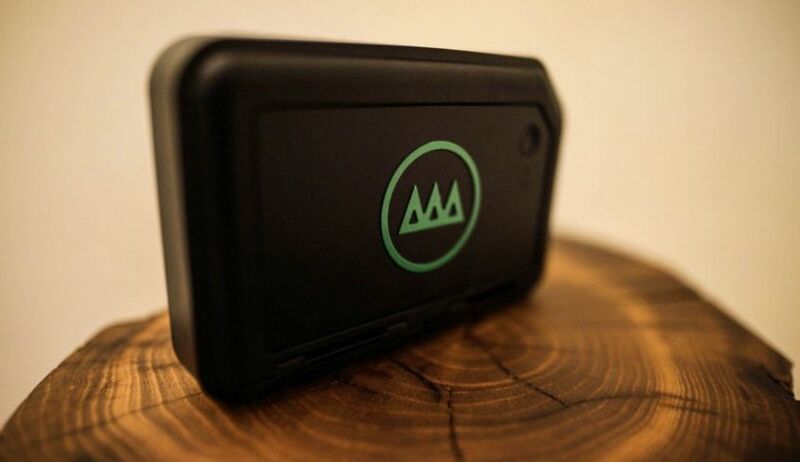 Since it offers a software that goes along with the device, the Gnarbox can be used among a higher range of devices which include DSLRs and action cameras of all types. With both the hardware and software being provided by one and the same company, it provides users with a more consistent video-editing option than a standalone device or a standalone app. How much editing can you expect it to do? It really works perfectly. No frozen screens, no image jar, or scrubbing problems, everything in real-time. 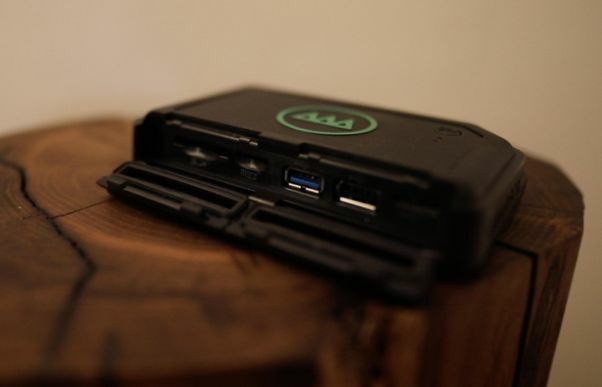 For a pocket-friendly portable device, it offers more than video editors may expect. It allows you to trim videos frame by frame, and it also supports slow and fast motion videos. Aspect ratios of the videos can also be changed and the amount of light adjusted. You can add color variations, filters and even layer music to the video without having to reach out for your laptop. The software intuitively searches for the key moments and highlights in a video as well. And when it comes to exporting these videos, you can do so in a wide range of formats. The Gnarbox is not just about creating videos for your mobile phone, it is about professional video editing made quick and easy. If you are into drone photography and video shooting then the Gnarbox can be a handy device. You may end up filling up the memory card on your drone too quickly if you are shooting outdoors for a long time. An easy way to make more space instead of carrying too many memory cards with you is by using the memory card slot on the Gnarbox to offload the data from the card to the Gnarbox before you send your drone on its next flight. If you have an external hard drive with you, you can easily store your files from the whole shooting day in that box and manage them with the integrated file manager, automatically sorted by date and camera type. The Gnarbox started on Kickstarter a couple of years ago and the idea was popular enough to gain adequate funds (over $500,000). But at the time the idea was somewhat unique and new. But ever since, we have already seen a number of video editing apps that can help us edit videos easily on the phone. 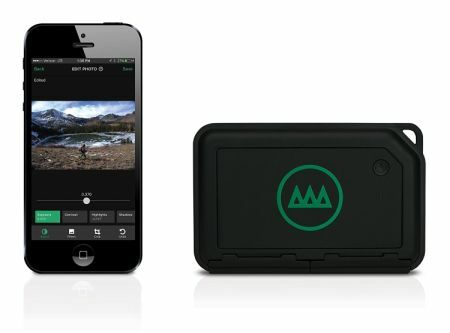 In 2017, the relevance of the Gnarbox is somewhat overshadowed by the presence of high quality phone cameras and excellent video editing phone apps. Where the Gnarbox does stand out is that it works like a mini computer to which you can connect the phone. There is no screen on the box so you will be doing all the editing through your phone but things are actually happening on the box. Changes being saved and the processor doing its work through the box instead of relying on the phone’s power and CPU. An investment or a Weighty Expenditure? It depends on your use of videos and how often you make videos to answer this question. Some may find the $299 Gnarbox to be an expensive piece of video editing device that does not offer a lot of value. But combine it with a good camera and the need to upload a video quickly right from the field and this sounds like just the investment that you need to make. For me, the best feature of the product is its ability to make video capture, edit and upload a smoother process even for those who are interested in the smaller details of video editing. I find it to be a good investment because of the amount of time I spend outdoors. The Gnarbox allows me to travel light since the laptop and the charger can stay at my hotel room while I spend time outside with my cameras and the Gnarbox. Furthermore in extra ordinary or really extreme locations such in mountains with snow or desert-like places with wild conditions it is perfect to not carry a sensitive laptop with you or edit them in field as it might be not waterproof or resistant against cold or ultra-hot conditions. The box is resistant at any time and it helped me so much to improve my work as filmmaker. At last I want to mention explicitly that the Gnarbox is also very usable for everyday video- and photo shootings and not only for outdoor activities or locations in the mountains. The mentioned features make it easy to work on shot material and to share it quickly on Instagram, Facebook or Youtube. The box is ready within 30 seconds and works smoothly with the in-built app. A shooting in the city can be color graded and edited at location and be shared on the social platforms. Therefore it is a box for bloggers, fotographers and filmmakers.